I've been to Sawaddee before. But, it was long enough ago that it was before this blog existed (about a year and a half!) so I decided that it was probably time to return, especially because I remembered that their pad thai was some of the best I'd had in Rhode Island. The great thing about Sawaddee, besides the fact that the food is good, is that it is also BYOB. The bad thing about Sawaddee is the ambiance. Andy and I always feel like we are walking in on a family dinner in a cramped dining room whenever we enter the place- it's really that small. It's also a little tired and shabby looking, with bad lighting, so it is definitely not a place to go for atmosphere. The peanut sauce was amazing, but the chicken wasn't char-grilled enough to our liking. It was tender, for sure, but the outside was lacking the crispiness that usually makes this dish. 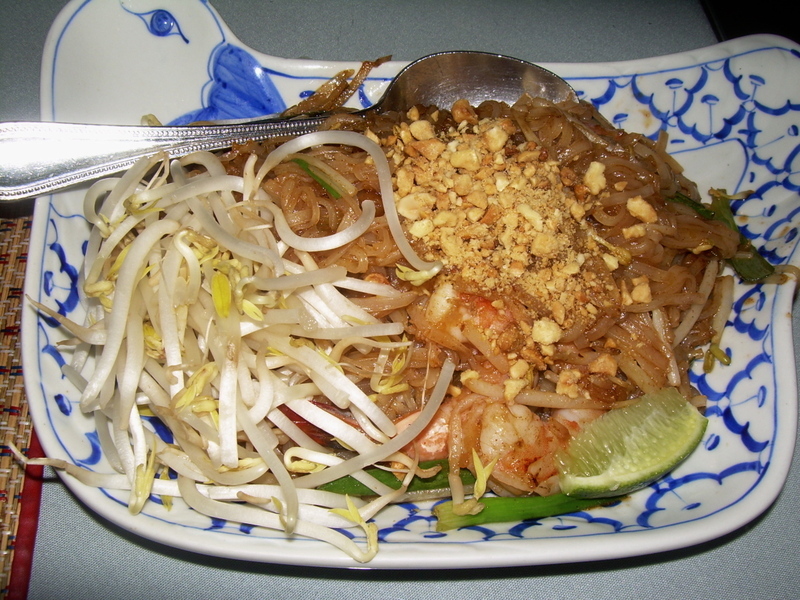 The Pad Thai was as good as I remembered, and still deserves my vote for best in Rhode Island. The noodles were flavored perfectly, without being too sticky, heavy, and gooey. The shrimp were huge and fresh, and the portion size was great (and only $7.95)! 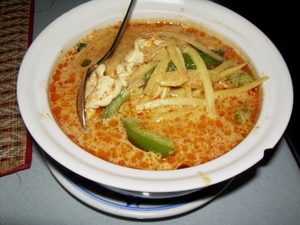 However, the Red Curry didn't receive the same review. The flavor was there, yes- the chilies, the lemongrass, the coriander- but it was very, very oily (which you can tell from the picture). The oiliness really ruined the texture of the curry, making it too runny, and the flavor from the oil lingered a bit too long on your tongue after a bite. Andy said he wouldn't order it again. I've said it before, but I really think Providence is lacking in the Thai area. There just aren't any real stand-outs that ever keep me coming back. I do agree that we are lacking in Thai, but that seems to be really the only area in Asian cuisine that is compromised here in Providence. I actually like Sawaddee very much. I love the oily droplets that form on top of the curries and the tom yam soup. I always feel very tall when I walk in there, and I am only 5'4"! 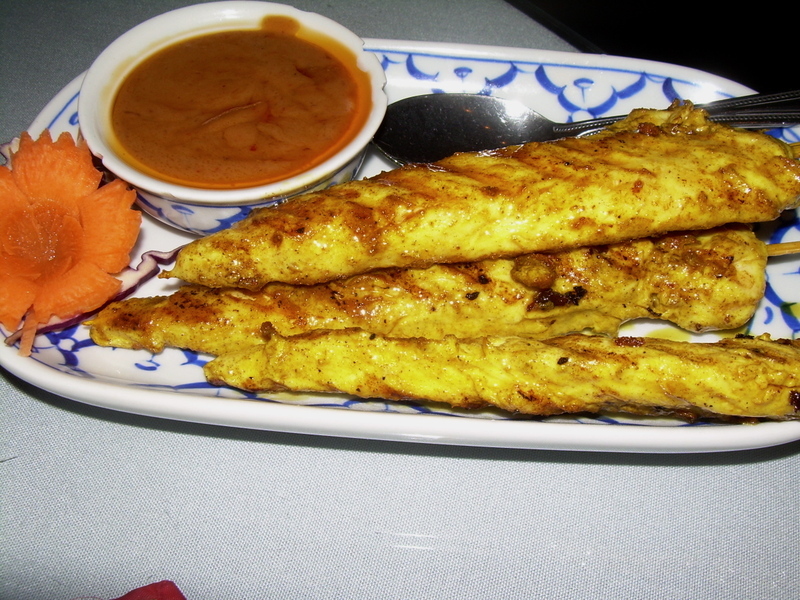 Try Siam Square in Riveside, Arunothai in Pawtuxet Village or Mekong on Smith St.
Has anyone been to Thai Excursion on Kilvert and Jefferson Blvd? 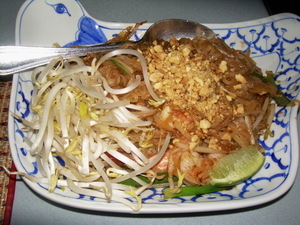 I am looking for Crispy Pad Thai and I found that Arunothai at Pawtuxet Village is the best Crispy in New England. It was on my way to Gaspee Community. I found Arunothai restaurant across the stress from Sunoco Gas station while I was filling my gas. I droped in, ordered their red curry and my wife got Tamerind Duck for take out. You cannot believe what happen to us... We love it only the first few bites. I would recommend everyone to try their curry. It is the best curry I found in RI so far. There are several kinds of curries which I will try next time.